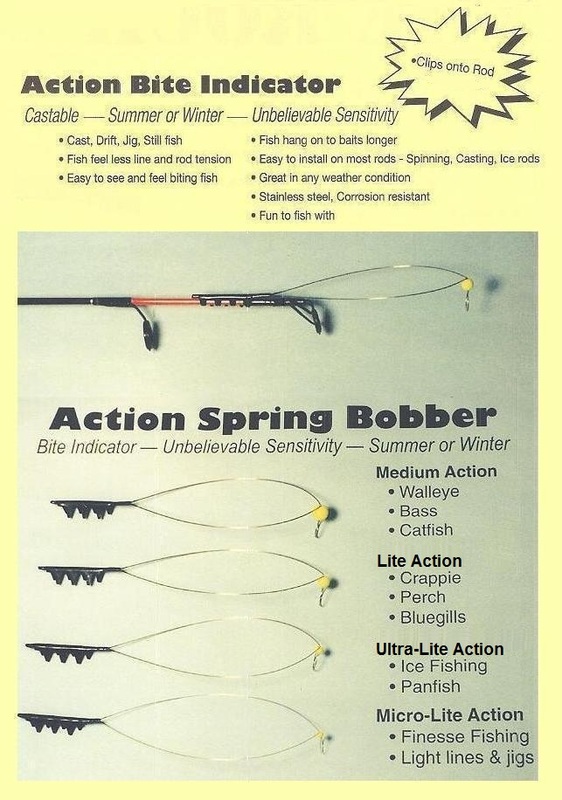 Action Tackle Products is notifying fishermen of a look-a-like spring bobber, made to resemble the original Action Bite Indicator. The copy cat dealers and manufacturers realize the value of this innovative design to the fishermen. They're looking to profit from this product, the original round style spring bobber made in the U.S.A with quality workmanship and materials. Please read the name of the manufacturer before you make your purchase. Action Tackle Products is the patented inventor and manufacturer. The action spring bobber is a tool to help all fisherman, young or old, experienced pro's or the young child holding their first pole. When installed, most rod tips will become unbelievably sensitive. A rod with hook setting ability and a soft tip is the key to more fish. With the action spring bobber acting like a shock absorber, fishermen see and feel the first sign of a biting fish: a direct signal from the mouth of the fish to the end of your rod, the most natural way to offer bait to feeding fish. The action spring bobber will help you catch more fish. 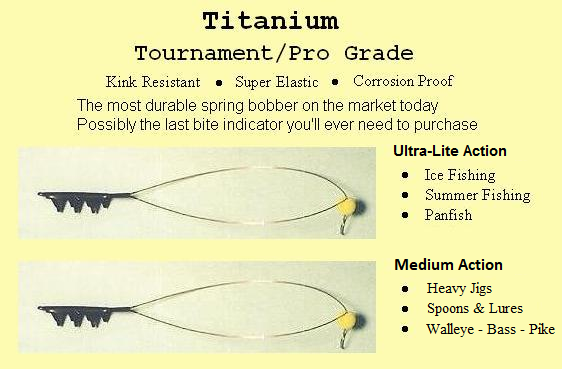 It is a very effective spring bobber for summer or winter fishing. The information here is only a guide to help you understand how to use the unit. The innovative design and construction allows the fisherman to fish it year round in many ways. Watch for a movement change, up or down-that is your signal to set the hook on your fish. Try to offer your baits or lures in a very natural way to increase your catch. Pan fish - Winter bites will be normally lighter than other times of the year. Light line and small baits work best, with only enough weight to get your line down. Action spring bobber will show all bites, up or down. Watch for them! Blowing winds and snowing conditions have little or no effect on it's sensitivity. Placing your rod in a good ice stand will help you see the smallest movement. On heavy jigs, your unit will be bent down, when it lifts up, a fish has picked up your offering. With heavy jigs, unit will show bottom the structure and contours of land you're fishing, and pass over. A bouncing effect will be seen and felt on your rod. 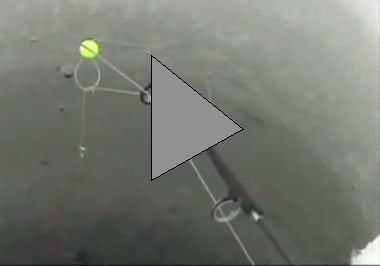 When this action stops or changes, a fish may have picked up your bait. Quickly set hook. When fishing suspended fish, the technique is about the same except baits or lures are not hitting the bottom of the lake. Many types of fish are taken using this method, both in summer and winter. When you have your bait in place, keep a close watch on the action spring bobber. As the fish pick up your bait, you will notice a change in the position of the unit. Be ready to set your hook as to the movement of the fish. You may have to wait for a second bite. Lots of fun and fish, both large and small, using this method. Use no float on your line, only live bait or artificial. Use little or no weight on your line. Create a slow and very natural fall of your bait to the fish. As the bait falls from top to bottom, it will pass through the fish feeding strike zone very naturally. When the fish picks up the bait, they will not feel your rod, but you will see the bite. Simply set the hook for some fish fighting action!